Badge earners know how to set up an API lifecycle and workflow in a portal. Specifically, they can define a development and publishing environment by using catalogs and spaces; create and execute a lifecycle approval process; grant permissions to various roles; publish APIs to a portal; update (supersede) APIs with new versions; and retire, archive, and delete APIs. 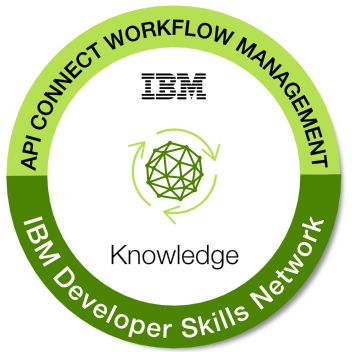 Completion of the developerWorks course "IBM API Connect: workflow and lifecycle management" .